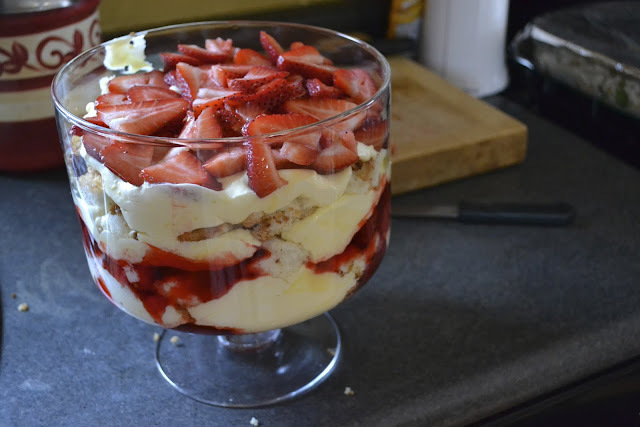 This trifle was sooo good. Perfect for an Easter or spring dessert. If you use a box mix or store bought angel food cake that is one pound or more, then add one point. Dissolve jello in boiling water. Remove from heat and stir in frozen berries. Refrigerate 15-20 minutes or until partially gelled. Meanwhile, whisk together the pudding with the milk until thickened. Fold in Cool Whip. 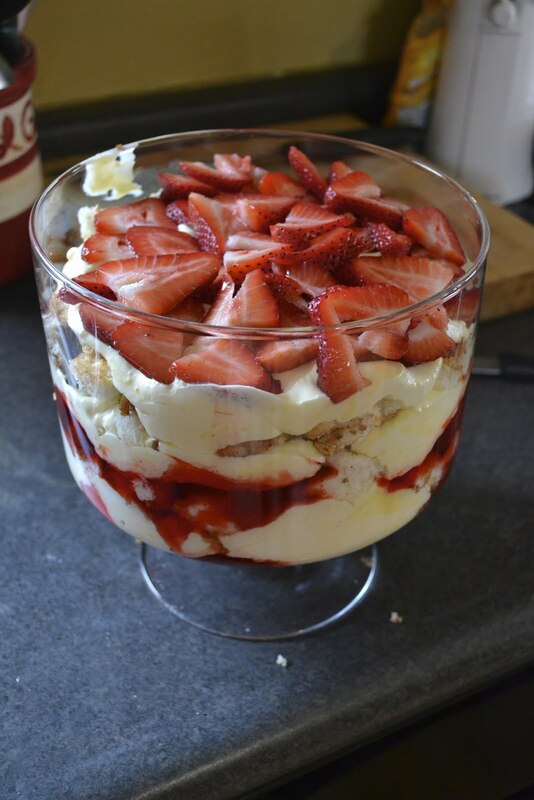 Place ⅓ of the cake pieces in the bottom of a trifle dish, top with ⅓ of the jello mixture, top that with ⅓ of the pudding mixture. Repeat two more times. Garnish the top with fresh, sliced strawberries. I'm assuming those are the small boxes of jell-o and pudding? This looks great! Yes, they are the small boxes of pudding. Can you use shortcake, or pound cake? or does that defeat the whole purpose of a DIET dessert? Can you make this the day before it is going to be served? Are you actively blogging here? If so, how do I "join" with you to get recipe ideas? Would it be possible to include a printer friendly option? Your recipes are a wonderful. What would this recipe be with the new smart points? Do you know how much is a serving? 1/2 cup or ? I make this with bananas & strawberries. My granddaughter loves it! Made this today, but wondering how many smart points? How much is a serving? I wish you would answer the questions. In the recipe it says it is 16 servings. It is 5 SP per serving. Used the Connect WW app to calculate SP. Points value based on Great Value brand whipped topping. Since I can't eat strawberries anymore (the curse of an aged colon) I'm going to turn this into a Lemon-blueberry Trifle!! Using lemon Jello and fresh blueberries along with the vanilla pudding etc. What is the serving size please? Is it 1/2 cup per serving? I see it's 3 points, but in how much please? Thank you. Yes, a generous 1/2 c.
As near as I can figure this would be five freestyle points. I love hearing from people who visit my blog! Let me know that you stopped by and let me know if you try a recipe! After having success following Weight Watchers and learning how to cook in a healthier manner, I started sharing my "Point-less" recipes with friends. That began back in 2007. With much encouragement, I have started this blog as a way to encourage others in healthy eating and possibly in their journey of weight loss. I believe in healthy food that tastes great! My family has tried each and every one of these recipes. Let me know if you try any and how you like them. Welcome to "Point-less Meals"! This "point-less" blog is to encourage people in their quest for healthy eating. In my opinion, healthy food has to taste great! These recipes have all been taste tested by my family and/or any unsuspecting visitors who may have stopped by! For those following Weight Watchers, I've assigned the point value and serving size to each recipe! Hence the name "Point-less Meals". 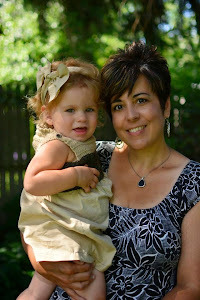 Gina's Blog creation. Simple theme. Powered by Blogger.